57 Eucalyptus Knoll St Mill Valley, CA. | MLS# 483312 | Andrew de Vries, Probate Real Estate, San Francisco Probate Real Estate, Oakland Probate Real Estate, Berkeley Probate Real Estate, Alameda Probate Real Estate, Lafayette, Contra Costa Probate Real Estate, Probate realtor, Probate agent, Probate Broker. 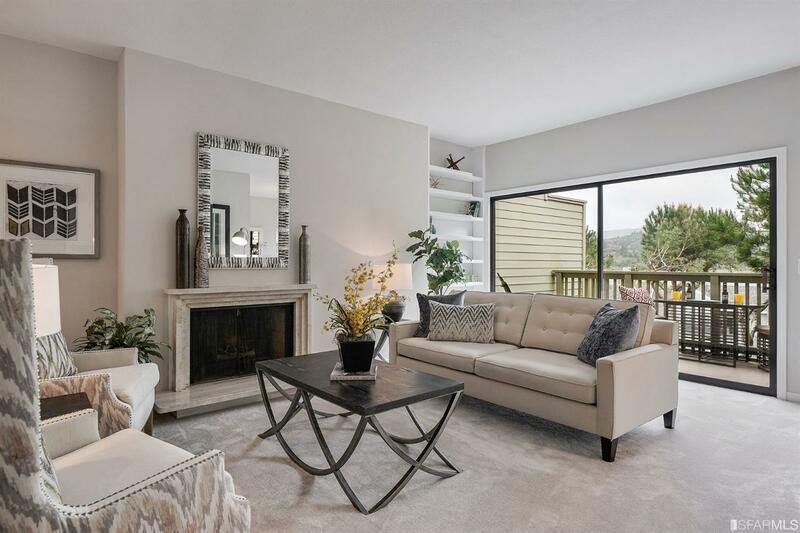 This rare 2BD/2.5BA Waterview Townhome, located in Eucalyptus Knoll, one of Mill Valley's most desirable communities, is the perfect starter home, down-size or SF adjacent home for those looking for Marin County charm and amenities while remaining close to vibrant SF. Conveniently arranged on two-levels, the home features a bright, open floorplan perfect for today's active lifestyles: The main level features a lrg FLR w/FP & view deck, a bright dining alcove that adjoins a well-appointed kitchen, a 2-car grg w/lots of storage/hobby rm, and a guest BA. Down are 2 En Suite BDs, including a master w/doors to a lovely outdoor space rdy for gardening & play, PLUS a lndry rm w/more storage. Fresh paint & crpts. The well-maintained complex features a pool, spa tennis courts, guest prking & more. Wonderful location close to prks, hiking/biking paths, shopping/dining, AND easy commute access to SF, East Bay, North Bay & beyond!